Marte's INTUIT Staging Site - R U Intuit? This page contains links to features which are designed to be added to various retail pages, such as BestBuy, Staples, Office Depot and so forth. 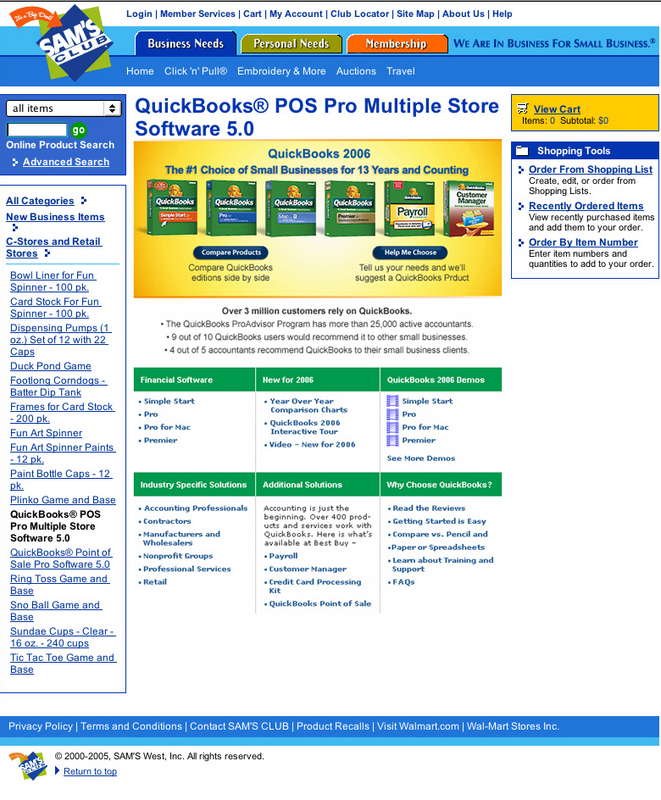 Content is adapted from the QuickBooks and TurboTax websites, to be inserted in the retailer sites. Interactive Flash demos required the disabling of shopping carts and removing price information from the master .fla files, and then changing the paths, enabling them to play on an external server by editing the ActionScript. In lieu of TeamSite (which does not support the Mac) I built this staging site on my server, so that I could send links to the other team members and project managers for them to to proof while in development. NOTE: If there are some missing images, or you get "cannot be found" error messages, it is because the Intuit content has not yet been uploaded to the retail site. 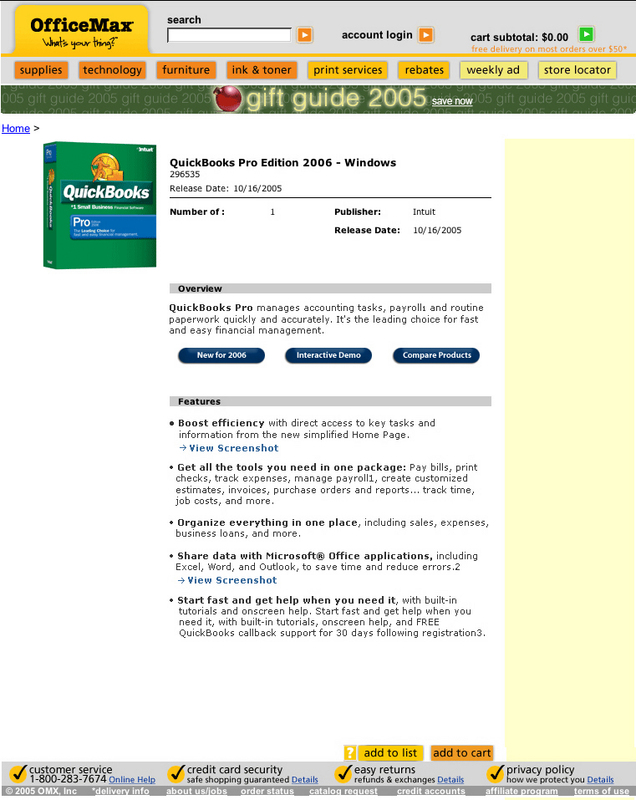 QuickBooks Core notes pages These will open in popup windows on the product pages. Still Using Pencil and Paper? 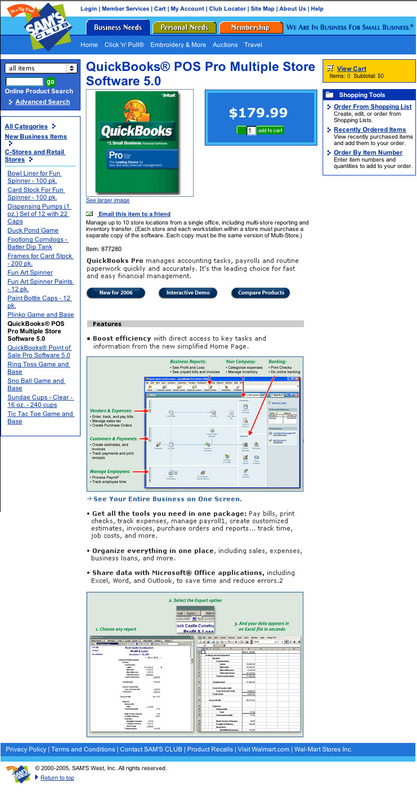 QuickBooks Core Retail pages < br>(I'm leaving borders on here to see the HTML structure. All url paths point to the retailer's server.